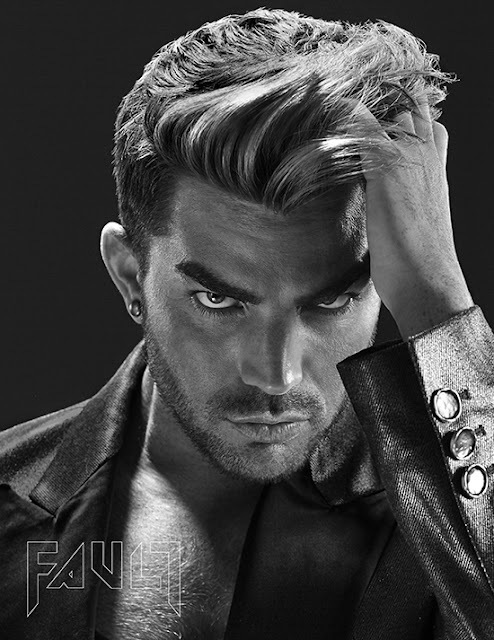 Adam Lambert NEW Interview!! 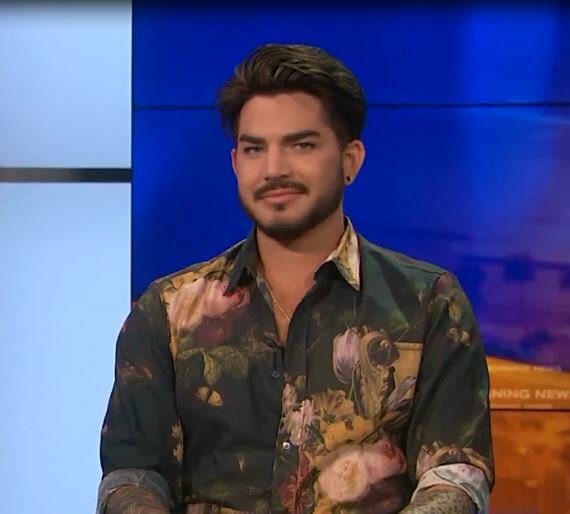 On KTLA5 Morning News "What It's Like Working With Queen" & More!! Includes Adam's comments on the passing of Aretha Franklin, the Bohemian Rhapsody movie & Freddie Mercury, next month's Las Vegas residency with Queen & Adam's forthcoming 4th solo album, (and an explanation of that Sam Smith video thing...) etc.. He always does wonderful interviews and he looks gorgeous. Love the current look and hope he keeps the hair for Vegas. Love the Gucci glasses comment! I already regret not going to go Las Vegas. Wahhhh! As always, Adam gives the best interviews, so likeable, relaxed, honest....and he looks especially handsome here. Magiclady, I hope too that he keeps the hair like that for Vegas. And last, but not least, I like the beard a bit shorter again like it is here....it shows more of that gorgeous face, and even makes him seem a little younger, IMO. Adam is aging extremely well. Another articulate interview where the interviewer looks smitten. Yes, The Dark Side, exactly my thought...."smitten". But how could she not be? It's usually noticeable to me when they keep reaching out and touching Adam during the interview...as this woman is. Is that your clue, too, or have you got some different insight? Always love him in an interview. This one was a high-profile show, too. 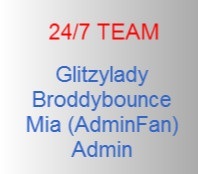 Good promo for QAL. We didn't get a whole lot of new info about A4, but I'm sure it will be well worth the wait. Ha has two parts of his career and QAL has taken up a big chunk of time. All to the good, IMO. He is looking incredible! Can't get over that luscious hair. Yum! Adore him to bits. Agreed Dee R Gee. As much as we want some more Adam-music, his time has been perfectly spent with Queen. I LOVE that fantastic symbiotic relationship! Adam is better for it....and so is Queen, IMO. He's probably getting the best "exposure"... with QAL.... that he will ever get. And I hope he doesn't get his hair cut before QAL. But I think he will. Oh well. Feels good to see Adam in a brand new interview! His laugh, his jewels, his hair, his face, his smile and his humor what more can a Glambert ask for? Ok, I can think of something but I shall keep it to myself! Lol. That woman kept touching Adam, just couldn't resist lady. Didn't expect to see the panel of anchors along side! Haha. Adams comment on how he wanted to show off his Gucci glasses and didn't realize the sound was on the video, so instead Sam got some attention, hahaha, for the wrong reasons tho. As Adam said. "Social Media is a slippery slope". I can't believe such a silly thing even caused a ripple! People WILL spin their wheels over the most unimportant things...and anonymity brings out the absolute worst in people. I'm surprised that only one other person from the panel talked to Adam. But it was a good interview, and he looked wonderful. Oh my...Adam will probably drastically change his "luscious"(your word, Dee R Gee) hair before Vegas...sob!...but what else is new? Sunflower totally agree with you about social media, poor Sam got some disgusting backlash but all over with now hopefully ! I think Adam will have his hair darker for Vegas, I like it more natural as in his interview, as long as it’s not ‘Pillar Box Red’ bit even then he looked good LOL !! Shelagh, I agree about the red hair...it WAS a bit of a shock. Even Adam remarked how unsettling it was to see himself in the mirror under ordinary circumstances, even though he thought it worked well onstage. And it actually DID work onstage, I finally decided, especially because he coordinated that red hair so well with all his costume colors....it just seemed part of the "costume". Who knows what Vegas will bring....never a dull moment with Adam! Still...love his hair best THIS way. He looks so darn good here. Keep the hair Adam. Handsome young man. Adam, are you listening? We seem to have a unanimous vote here for keeping your hair just like it is in the above interview! Shelagh...OMG,sure hope not! But his hair WAS green a couple of tours ago...NOT a good look in my opinion. However, during American Idol, he did tint/streak his hair blue...which worked nicely over his then-black hair. I'm hoping he'll be moderate this time...but you know Adam! But I think he was disenchanted with that red last time around. It required bleaching his hair first, and then the red dye applied over it seemed to come off everywhere...shower, bed, towels, pillow, he complained. Well, no matter the hair color, we'll love him just the same.....can't change the color of that voice!! !